Radiation therapy, or radiotherapy, uses ionizing radiation produced by a linear accelerator (linac) to kill cancer cells and shrink tumors. The radiation passes through the body and delivers dose to the affected area while minimizing dose to the skin and tissue it passes through. Although the radiation affects both cancer and normal cells, it has a greater effect on the cancer cells, damaging their genetic material and making impossible for these cells to continue to grow and divide. Treatment aimed at cure will give the highest possible dose of radiation to the cancer area (within safe limits) to attempt to kill all the cancer cells. Sometimes smaller doses are used, where the aim is to reduce the size of a tumor and/or relieve symptoms. Electrons are used to treat skin cancers and other superficial lesions, as they are absorbed by the first few centimeters of skin, leaving very little dose to pass into the body. 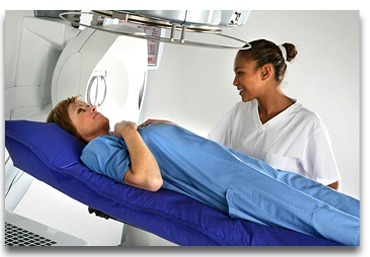 Radiation therapy is used to both cure disease and alleviate the symptoms of cancer. There are also a number of non-malignant conditions that are treated using radiation therapy. Better Technology for Better Treatments... With Compassion! Why does Terk Oncology use Elekta Infinity with Agility™? Terk Oncology is committed to providing the highest quality cancer care. 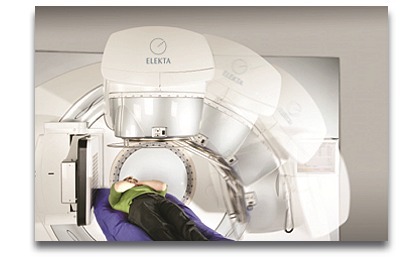 With Elekta Infinity, we have a highly advanced radiation therapy system for cancer treatments. Elekta Infinity reduces the time required for radiotherapy sessions to five minutes or less, while giving your doctor the ability to treat targets more aggressively than ever before. Elekta Infinity incorporates Volumetric Modulated Arc Therapy (VMAT), an innovative way to deliver radiation treatments that is a significant improvement over traditional approaches. With Elekta's VMAT technology, the target area is continuously irradiated while the source of the beam rotates around the patient. Clinicians using Elekta Infinity can create a dose that conforms very tightly to the target area in significantly less time than with conventional techniques. Elekta VMAT achieves this with sophisticated computer programming that simultaneously controls five different system components (gantry position, gantry speed, leaves of the multi-leaf collimator, collimator angle and dose rate). The state-of-the-art Elekta Infinity integrates a suite of imaging tools to enable high quality, 3D imaging at the time of treatment. This enables improved treatment accuracy, as clinicians can visualize soft tissue detail. Elekta Infinity incorporates ultra-low dose capabilities through active leakage reduction, to minimize unnecessary radiation dose to critical structures. Additionally, this low-dose imaging capability helps minimize the side effects of radiation therapy by reducing the margins previously set to account for uncertainties of target dimensions, location and movement. Real-time assurance that the intended dose is delivered as precisely as it was planned offers an added layer of safety. Clinicians can have the confidence that a 3D plan will be delivered as an accurately targeted 3D treatment. The radiation oncologist may ask for diagnostic procedures to be undertaken, either in the radiation therapy department or at a general hospital. These can include X-rays, computed tomography (CT), magnetic resonance imaging (MRI), positron emission tomography (PET) scans, biopsies and blood tests. Once the nature of the disease has been established, a treatment regime will be planned and prescribed. MRI, CT or PET scanning is required to determine the exact size, shape and position of the area to be treated within the body, known as the treatment site. 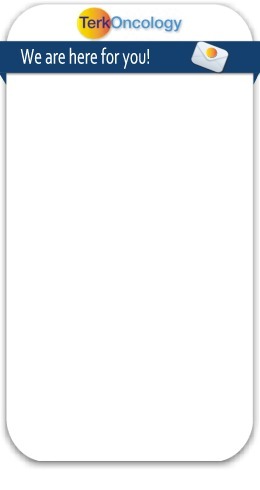 These images are then used to plan the patients' treatment. Once your images have been taken, your physician develops a treatment plan. The treatment plan is created using treatment planning software, which calculates the position, dose and frequency of the treatment. Before treatment commences the treatment may be simulated - i.e., performed on a non-treating machine, to ensure the correct treatment will be delivered later. Treatment may be given on an out-patient or in-patient basis. It is imperative that the prescription and treatment plan is adhered to as any missed treatment may affect success. The patient usually receives the same treatment each day for a course of treatment, which can last up to six weeks. Treatment is monitored regularly and may be adjusted if the patient suffers from adverse side effects or loses weight. To receive the radiation therapy, you will lie on a couch under the machine, and be asked to remain still during the actual treatment. The treatment is completely painless. Radiation cannot be seen or felt while it is being given. During treatment a process of verification takes place. By using built-in imaging on Elekta Infinity, images are taken of the treatment site. These images are used to verify both the patient position and the accuracy of the treatment beam. When the treatment is completed, the patient attends follow-up clinics for up to five years. These are held to assist the patient in managing any post treatment side effects and to monitor the disease regression or progression. Initially the patient attends the center where he or she was treated. Annual follow-ups may then be conducted at a hospital closer to the patient.